The Off-Shoot Sport is 2.4 MB. Larger files take longer to load. This is the Off-Shoot Sport listing page, here you can download the plan, article and see the main thumbnail and extra images. 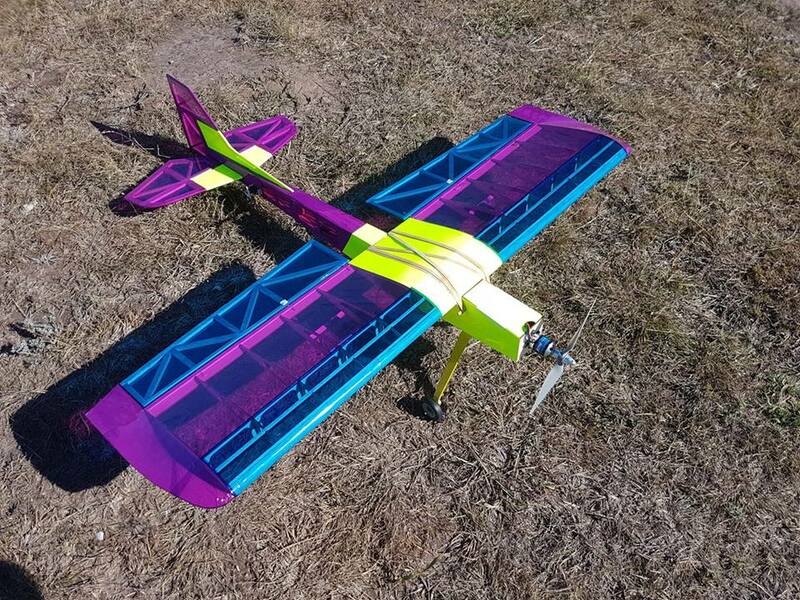 I was inspired to design and build this airframe by other "fun fly' types on the market as I prefer to design and build my own models. I've kept the construction as simple and straightforward as I could and it builds speedily. Construction consists of mainly laser cut / routed parts that slot together to ensure speedy and accurate construction. 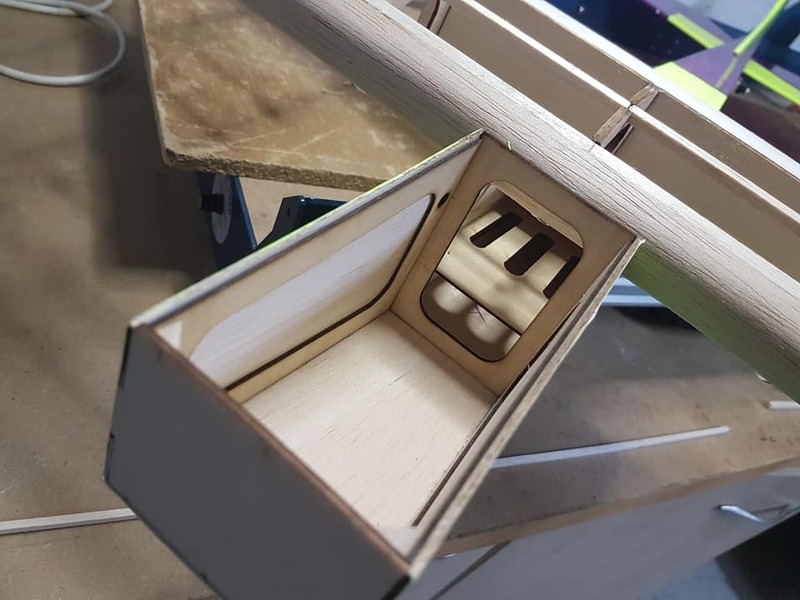 Only the control surfaces are conventionally built. Covering takes the most time but adds to the pleasure of the build. 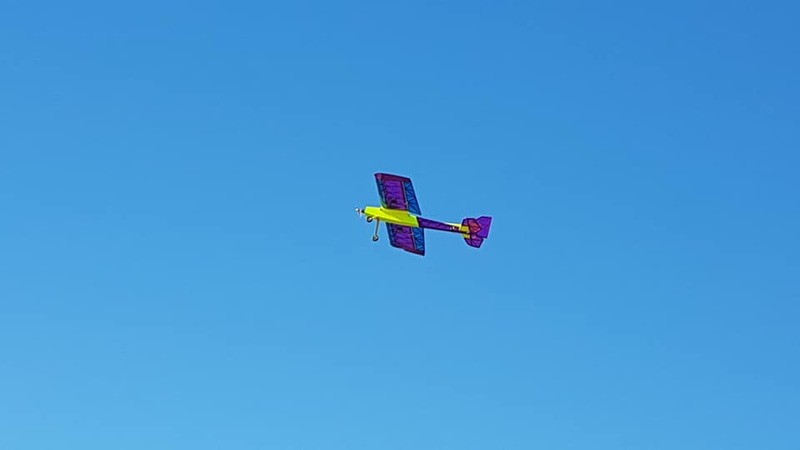 Flying and handling offer very few surprises and aerobatics are handled with confidence although it does carry its speed well on final approach so flaperon mixing would be recommended. NOTE: DXF files are in the supplemental files 1 and 2 at the bottom of this page. These are the details for the "Off-Shoot Sport" plan. If you would like to become a plan editor and help us to edit the attributes of all the plans in the website please click the "Edit Attributes" button below. Order your Off-Shoot Sport prints today! The Off-Shoot Sport plan can be printed on plain paper, tracing paper or polyester film and shipped worldwide. Scale: The original wingspan for this model is 46.1 in. / 117 cm. Please Change the values below to order in a different wingspan. This tool allows you to calculate the cost of printing and shipping the Off-Shoot Sport plans and its building article if available. 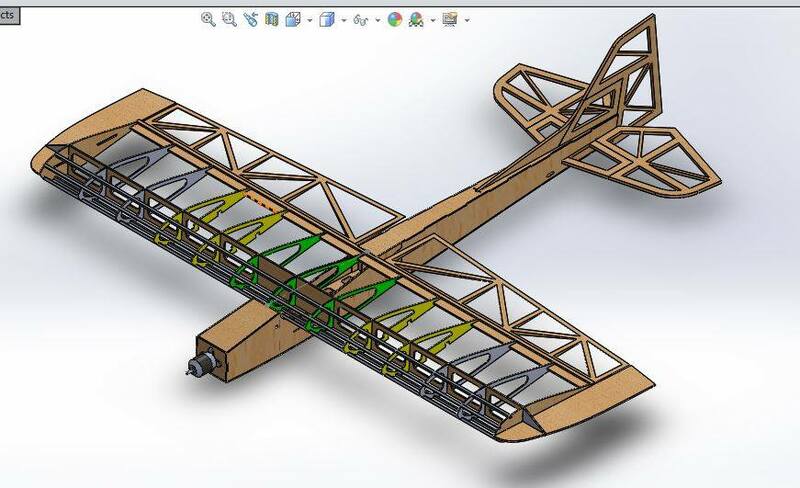 If you need to resize a plan please contact us with the ID:101727 and the desired wingspan. I will calculate a price upon request, please contact me here mentioning this PlanID: 101727 and the job you wish me to do. What supplemental files? Is this plan cross-posted on other sites/forums...? No, this is my own original design posted here by me. The supplemental files containing the DXF's are at the bottom of the page. Scroll down the page to find them. I also initially struggled to find them when I checked after uploading. I will try to compile a directly laser cuttable file from all the individual parts, and if I can get that put together I will try to post them somehow. I went down to the bottom of the page and saw only DXF Plans and nothing else. Hope to see that files some day soon. I´m about to start building it. 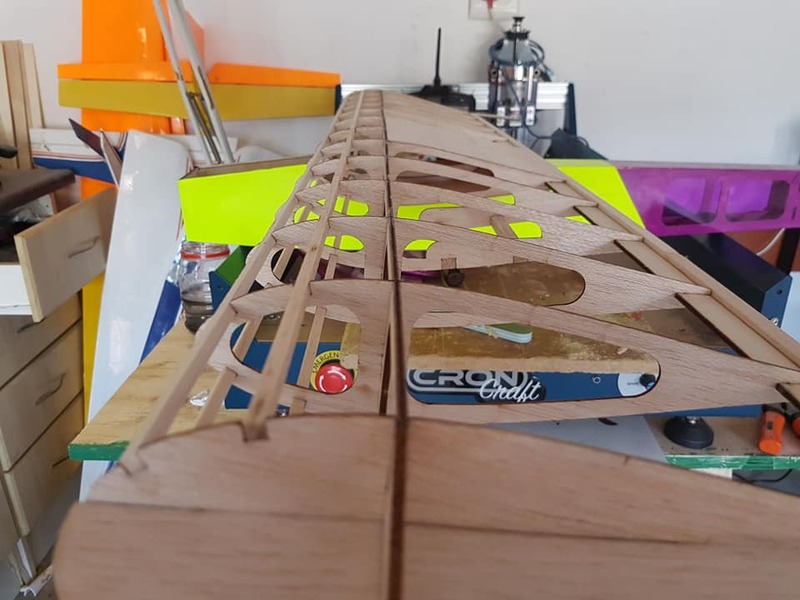 I´ve found all I need apart from the aileron thickness. So would you please post how thick the ailerons are - thanks. 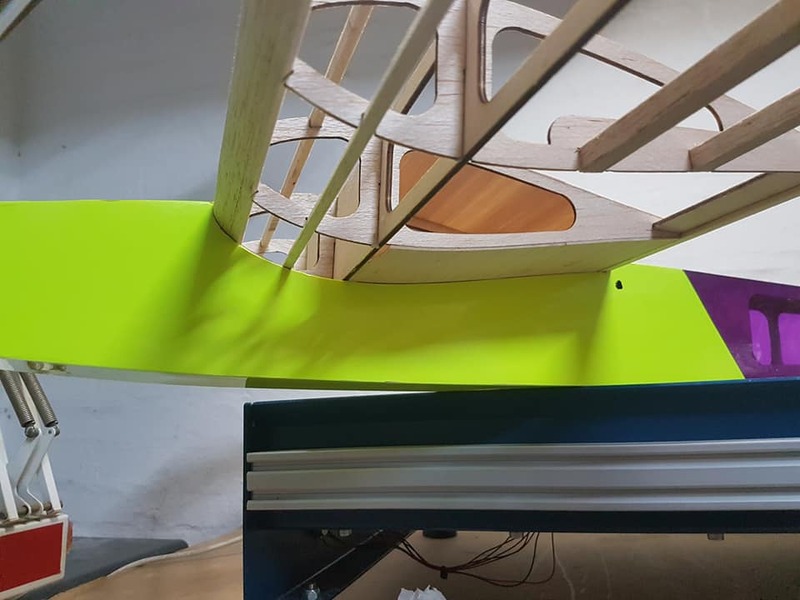 The ailerons are from 6mm Balsa. 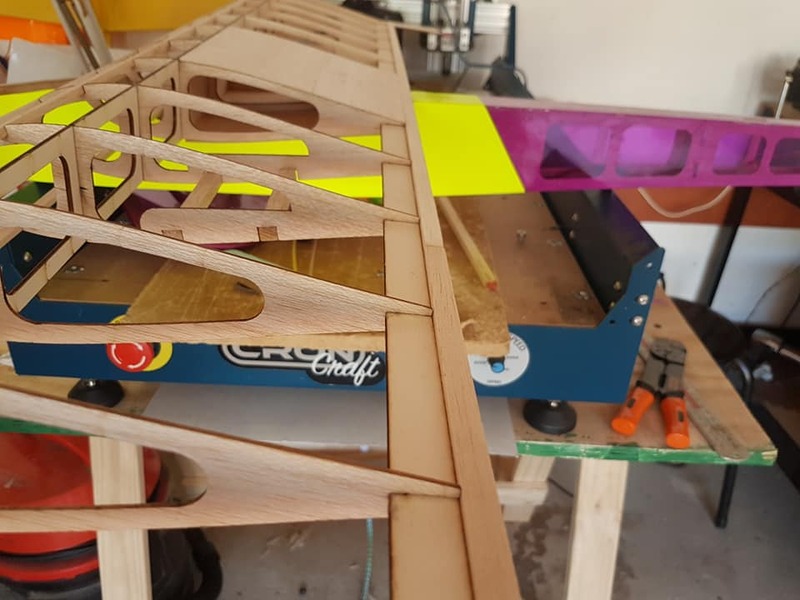 This plan is 2.4 MB and was shared by our member Vaughan207 on 02/11/2018 12:54 in the PDF Vector Wood Model Airplane Plans category. It has been downloaded 669 times. Vaughan207 has spent time working on this plan so you can have it now, you can always leave him an appreciation message. 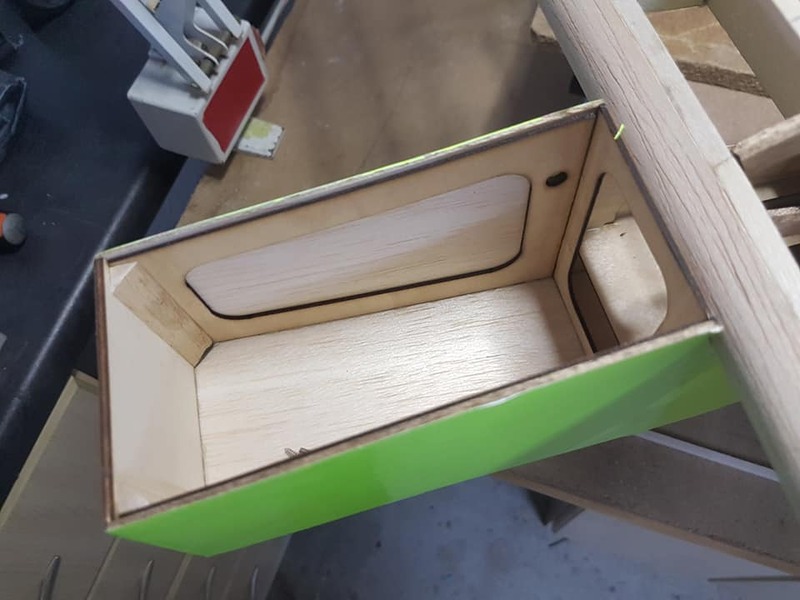 Vaughan207 will surely like to see what you have build from his plans... You can share your builds at our Forum under the Build Logs section. Donate directly to Vaughan207´s Paypal account.